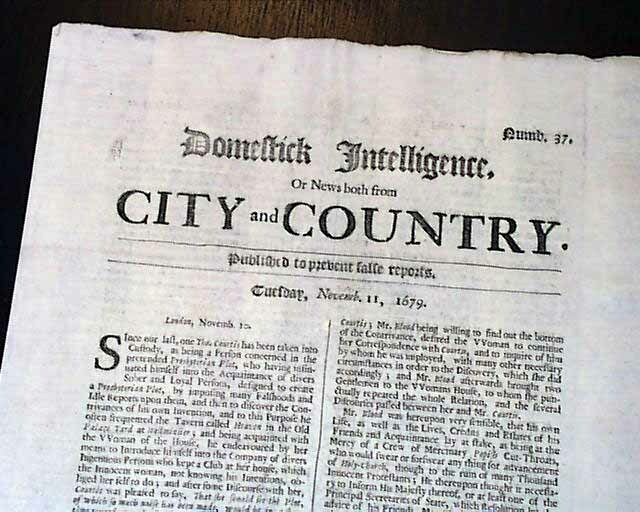 DOMESTICK INTELLIGENCE Or News Both From CITY and COUNTRY, London, England, Oct. 21, 1679 A very early single sheet newspaper published by Benjamin Harris (his imprint appears on the bottom of the back page), the first newspaper printer in the colonies. 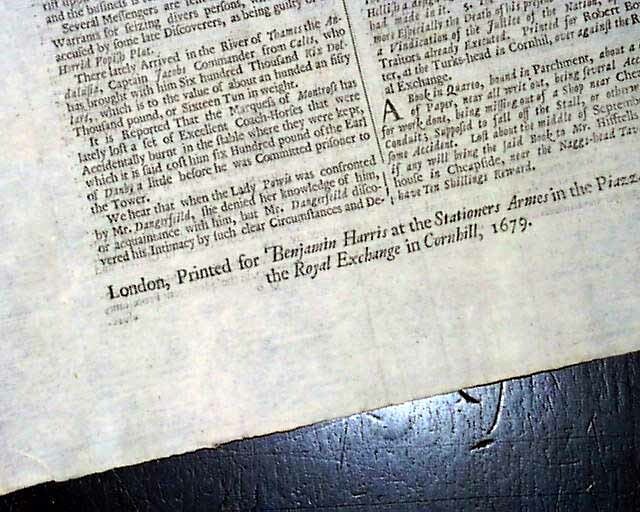 Harris spent several years in jail in London for libelous printing, and upon release he emigrated to America to continue his printing trade. And it was in Boston in 1690 when he published "PUBLICK OCCURRENCES BOTH FORREIGN & DOMESTICK" . That newspaper lasted but a single issue and remains the "holy grail" of newspaper collectors, always hoping another issue will turn up. 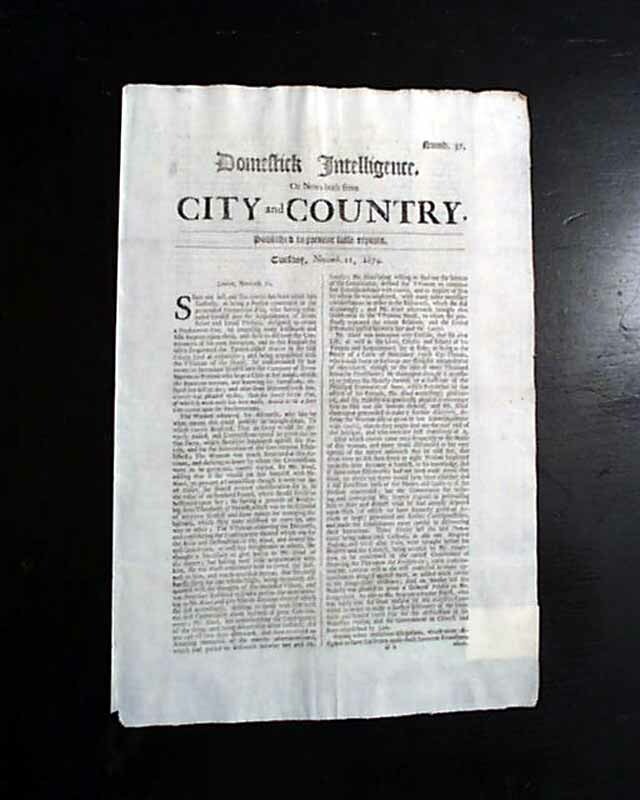 This is the newspaper Benjamin Harris published before heading for the colonies, and is an excellent opportunity to own a newspaper printed by America's first newspaper publisher. 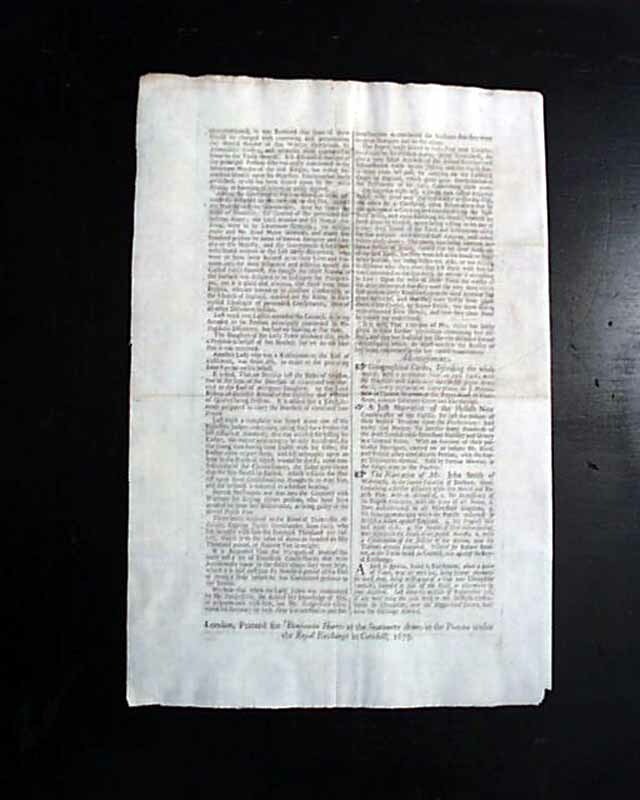 A single sheet issue, 8 1/4 by 12 1/4 inches, wide, never-trimmed margins, nice condition.